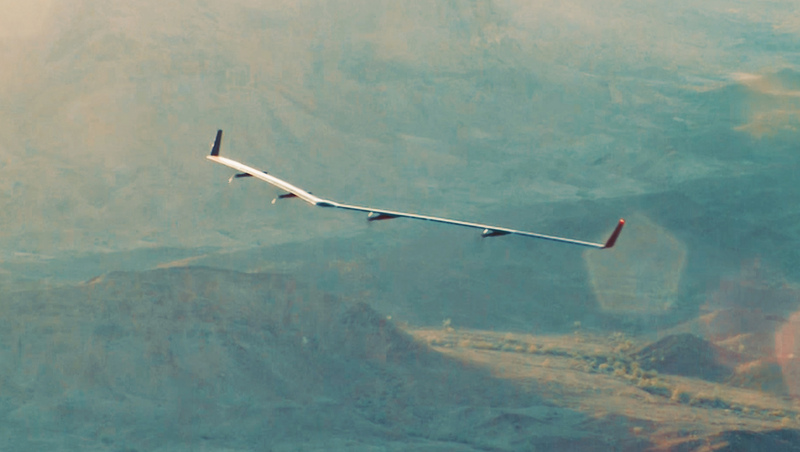 Facebook's solar powered plane Aquila. Internet access can offer life-changing opportunities and experiences to all of us, but there are still 4 billion people without it. That’s 60% of the global population. As many as 1.6 billion of those unconnected people live in remote locations with no access to mobile broadband networks, where implementing existing network technologies is so challenging and costly that it will take years to bring everyone affordable access. As part of our commitment to Internet.org, we formed the Facebook Connectivity Lab to build new technologies — including aircraft, satellites, and wireless communications systems — to help solve this problem more quickly. Today Connectivity Lab announced a big milestone in this work: the first full-scale test flight of Aquila, our high-altitude unmanned aircraft. Aquila is a solar-powered airplane that can be used to bring affordable internet to hundreds of millions of people in the hardest-to-reach places. When complete, Aquila will be able to circle a region up to 60 miles in diameter, beaming connectivity down from an altitude of more than 60,000 feet using laser communications and millimeter wave systems. Aquila is designed to be hyper efficient, so it can fly for up to three months at a time. The aircraft has the wingspan of an airliner, but at cruising speed it will consume only 5,000 watts — the same amount as three hair dryers, or a high-end microwave. We’ve been flying a one-fifth scale version of Aquila for several months, but this was the first time we’ve flown the full-scale aircraft. This test flight was designed to verify our operational models and overall aircraft design. To prove out the full capacity of the design, we will push Aquila to the limits in a lengthy series of tests in the coming months and years. Failures are expected and sometimes even planned; we learn more when we push the plane to the brink. This first functional check was a low-altitude flight, and it was so successful that we ended up flying Aquila for more than 90 minutes — three times longer than originally planned. We were able to verify several performance models and components, including aerodynamics, batteries, control systems, and crew training. In our next tests, we will fly Aquila faster, higher and longer, eventually taking it above 60,000 feet. Each test will help us learn and move faster toward our goal. We’re encouraged by this first successful flight, but we have a lot of work ahead of us. In fact, to reach our goal of being able to fly over a remote region and deliver connectivity for up to three months at time, we will need to break the world record for solar-powered unmanned flight, which currently stands at two weeks. This will require significant advancements in science and engineering to achieve. It will also require us to work closely with operators, governments and other partners to deploy these aircraft in the regions where they’ll be most effective. But we believe this work has never been more important. New technologies like Aquila have the potential to bring access, voice and opportunity to billions of people around the world, and do so faster and more cost-effectively than has ever been possible before.